Sophie Milman's beautiful punim graces the cover of American Jewish Life's March issue. The jazz singer is one of the women featured in Women Who Rock, a profile of several contemporary music artists all of whom are women, beautiful, talented and Jewish. Inspired by the article and panicked over the realization I hadn't bought any new music in over a year (I've long held that new music will stave off middle age), I went on a quest to find women Jewish artists doing Jewish-themed work to add to my own collection. I've listened to more than a dozen artists over the weekend. Here are two that I love. For your reference, my taste is more jazz than folk, more electronic than acoustic, more soulful than upbeat, more alternative than pop. 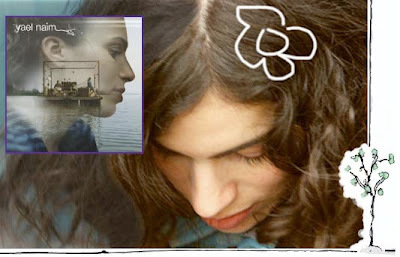 Yael Naim: Eclectic is the only way to describe Yael Naim's eponymous album. The first track Paris, is sung in Hebrew but styled as French torch song, ending with a sultry "Shalom Paris." Track two Too Long is trip-hop down-beat evoking a 90's favorite of mine: Portishead. Much of the album is Fiona Apple-ish folk sung in Hebrew and English. She does a cover of Brittany Spear's Toxic. And then her hit New Soul comes along and is solidly pop. (Side note: New Soul is the music for the MacBook Air commercials.) No matter the style, her music is fresh and lovely. Listen to samples of her music here. You can buy the album right now on iTunes and the album will be released in the US in March. Ayelet Rose Gottlieb. 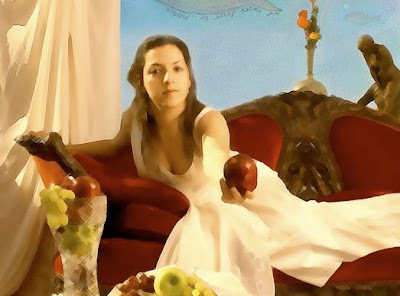 Her album Mayim Rabim is based on ten segments of Song of Songs, those passionate love poems comprising one of the five scrolls of the Hebrew Bible. Just because the subject matter is traditional and religious, don't let that scare you away. This music is new, powerful, and exciting. Global Rhythm Magazine sums her album up perfectly, "avant-garde yet surprisingly accessible". Gottlieb's music is intellectually challenging, yet still a delight to listen to and easy to enjoy. American Jewish Life also profiles Gottlieb. Her album can be downloaded from iTunes or bought from Tzadik Records.